Flora is a cynic who reads comic books, despite her mother’s insistence that she read literature. Ulysses is a squirrel who is accidentally sucked into a vacuum cleaner. When Flora saves his life using mouth-to-mouth resuscitation, she discovers that Ulysses has superpowers - and specifically, the power to type poetry. Though her next door neighbor who owns the vacuum cleaner and her own father are fine with her keeping the squirrel, Flora finds that she must save Ulysses from her own mother, who would prefer to have him destroyed. At first, this quirky story seems like a huge departure for Kate DiCamillo, whose books include heartwarming favorites like Bink and Gollie, The Tale of Despereaux, and Because of Winn Dixie. Looking closely, however, it becomes clear that this book is actually quite similar to all three of those titles. The text plays with language as DiCamillo does in Bink and Gollie. The story is partly a fairy tale, like The Tale of Despereaux. And above all, the main character is a lonely girl, just like Winn Dixie’s Opal, whose very special animal friend is the key to breaking her out of her shell and helping her to make friends and trust those around her. The style might be slightly different, but there is no doubt who wrote this book. 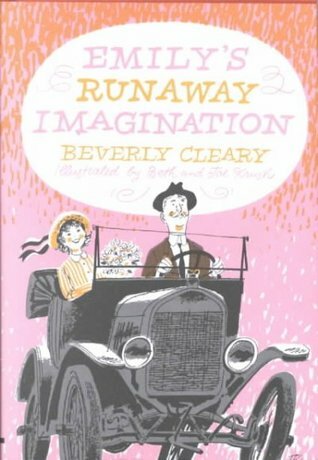 Like so many kids’ books these days, this one is partially illustrated with comic book panels. Though I suspect this feature will draw kids into the story, I didn’t think those panels were all that necessary, and I would have been just as happy to have DiCamillo write narration for those scenes. I like the illustrator’s style, and I especially enjoyed the sense of Flora’s personality that I got from her facial expressions, but I felt as though I would have liked some aspects of the book more had I been allowed to imagine them for myself. Especially jarring was the difference between Flora’s mother’s appearance in the illustrations and the version I conjured in my imagination. I had basically imagined a whole different character and found it difficult to reconcile her with what the illustrator provided. All in all, I think this is an interesting book, but perhaps not as innovative as it appears at first glance. Kids who are interested in superheroes and super powers will probably enjoy the story. I do question whether a superhero squirrel is really what kids are looking for, but Spiderman and Batman do okay and they’re not the most likely creatures to be heroes either. I was a little disappointed that the squirrel’s powers come on so suddenly, with no explanation as to how being sucked up by a vacuum causes him to develop them, but I suspect I am in the minority on that point. Most readers will be happy to go along for the somewhat silly ride and just enjoy Ulysses and his squirrel poems. I also have to admit that I think “Holy bagumba!” is a great phrase, and I’m grateful to this book for introducing it into my vocabulary. 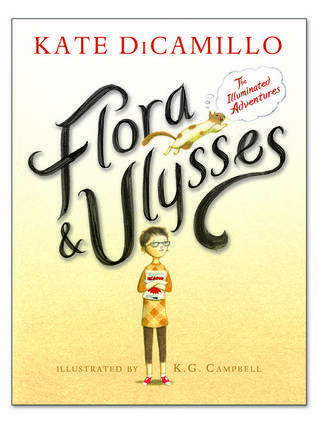 Flora & Ulysses: The Illuminated Adventures will appeal to boys and girls, and especially to those readers who enjoy comics, animals, and magical realism. When April Hall moves in with her grandmother while her mother remains in Hollywood, the first kids she meets are Melanie Ross and her brother, Marshall. April and Melanie appear to be quite different from each other, but they soon bond over a mutual fascination with Egyptian history. Each afternoon, the two girls and Marshall gather in the yard behind the A-Z Antiques and Curio Shop to play the Egypt Game. At first, the game consists of simple rituals and ceremonies which the girls invent and perform in costume. Later, as more members join their group, their activities expand to include writing in hieroglyphics and attempting to gain information from an oracle. When strange things begin to happen to members of their group, however, April and Melanie wonder how much of the Egypt Game is imagined and how much is real. 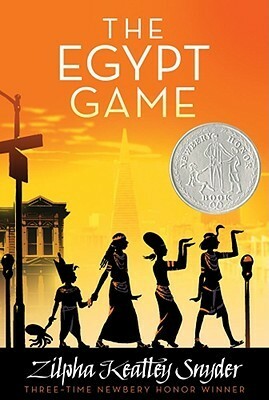 The Egypt Game was first published in 1967, and it was awarded a Newbery Honor in 1968. Like Jennifer, Hecate, Macbeth, William McKinley, and Me, Elizabeth by E.L. Konigsburg and Afternoon of the Elves by Janet Taylor Lisle, it explores the power of imagination and the exciting adventures kids can have in their own backyards when left to their own devices. As I read this book, I kept thinking that it represents everything I like to see in a middle grade novel. These days, it seems like middle grade is treated as a stepping stone to YA, rather than as a reading level unto itself. In many situations, middle grade has started to refer to middle school, and the focus has shifted from tales of family, friendship and imagination to sordid stories about bullies, ostracization, dating, and family dysfunction. Reading The Egypt Game reminded me that there are many other topics of interest to kids in the 8-12 age range, and that even fifth and sixth graders still like to imagine and pretend. I’d like to see more contemporary middle grade novels living up to the standard set by this book. There are lots of lovely details in this story that bring it and its characters fully to life. Marshall is never seen without his stuffed octopus named Security. April tries to impress people and simultaneously keep them at bay by wearing fake eyelashes, which she only sheds after she becomes comfortable with her new friends. Melanie enjoys cutting photos of people out of magazines and using them to tell stories which she hides in the pages of a special book on her shelf. Each character has a role in the larger group of Egyptians, but each is also an individual whose personality and quirks contribute to the overall story. For a book going on 50 years old, The Egypt Game holds up really well. No matter how many years pass, children will always enjoy making up their own games and imagining themselves in various roles, and this book really celebrates these unique childhood experiences in a way that resonates with multiple generations. Though there is a sequel, The Gypsy Game, and I plan to read it, I would argue that The Egypt Game is pretty much perfect on its own, and I think it will be a tough act to follow, even for its own author. Sixteen residents of Sunset Towers have been summoned as the heirs of millionaire Samuel Westing. Among them are the owner of a Chinese restaurant, a female judge, a wheelchair bound teenage boy, a podiatrist, a cleaning woman, an aged delivery boy, a doorman, a secretary, and a young girl who kicks anyone who tugs on her braid. To gain their inheritance, they must work in pairs to piece together a series of clues that will lead them to Westing’s killer. I have always known about The Westing Game, but the only time I tried to read it, I was slightly too young and became quickly overwhelmed by the pressure of trying to solve all the riddles and uncover all the clues. Reading it as an adult, though, I am thoroughly impressed by the complexity of the plot itself, as well as the carefully developed characters and the twists and turns that lead to the game’s ultimate solution. In addition to the characterization, I also enjoyed the fact that the narration is basically omniscient. 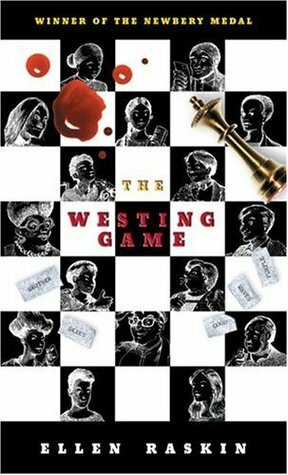 While the characters have a very limited view of what is happening in the Westing game, the reader is privy to all the clues and is able to draw conclusions the characters could never reach on their own. Though the story darts in and out of different limited perspectives depending on what is happening at a given moment, the reader is always smarter than any one of the individual characters (except maybe Westing himself). I think kids, especially, enjoy the sense of superiority that comes from being smarter than the characters in a book, and from an adult perspective, I just thought it was a neat way to tell a story. The Westing Game also manages to be quite witty in some places, and I was surprised by several wonderful moments that made me laugh out loud. On page 15, I laughed when “Sydelle Pulaski struggled out of the taxi, large end first.” On page 25, I found myself nodding in recognition at the sentence which reads, “Proud of her liberalism, Grace Windsor Wexler stood and leaned over the table to shake the black woman’s hand.” There is so much important commentary on Grace Wexler in just that one line of description. It’s absolutely perfect. I also loved that Flora Baumbach thought that dastardly was a swear word on page 30. These little moments help us get to know the foibles of the characters, and they also keep the tone of the story from becoming too dark or morose. I am glad that I finally took the time to read The Westing Game. I am not a big re-reader, but I actually think this book would benefit from multiple readings because there is just so much to take in. I have a feeling that a second reading would only bring to light more of the author’s cleverness and that I would be that much more impressed with the way everything comes together in the end. There are few books truly like this one, so read-alikes might be difficult to find, but anyone - child or adult - who enjoys puzzles, mysteries, surprises, and great characters can find something to love in this book.